And so, nearly 40 years after the last major attempt to capture F Scott Fitzgerald’s iconic ‘The Great Gatsby’, Hollywood tries again. This time it’s Baz Luhrman who throws a majestic, flamboyant and grandiose effort into the ring, as the director best known for Romeo, Moulin Rouge and Strictly Ballroom tries to hosts the most epic of adaptations. And he sure goes all out. In 3D, with a largely hip-hop soundtrack, exquisite costumes, lavish settings, and fast paced cutaways, it certainly captures the glamorous excess of those searching for the American Dream. Nowhere is the more evident in which the naive (a solid though unspectacular Tobey Macguire) meets the enigma that is James Gatsby (Leonardo di Caprio). Money falls from the ceiling, music is cranked to the max, dancers jostle for attention as Luhrman is in his element of creating the glitz and glamour of the Jazz Age. When Jordan Baker (newcomer Elizabeth Debicki) says to Carroway: “And I like large parties. They’re so intimate. At small parties there isn’t any privacy,” Luhrman was clearly taking note. Such a pity then that so much else falls flat, and worse still, right from the start. Things begin dubiously with an alcoholic Carroway in a sanatorium, sad, forlorn and still longing for Gatsby. Showing no signs of recovery, he is persuaded by his doctor to tell the story. Through flashback we see how a restless Carroway moved to West Egg to works in bonds on Wall Street. 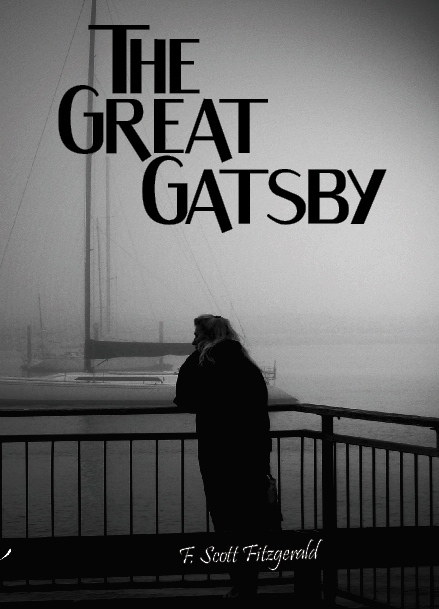 Intrigued by the seemingly mystical world inhabited by his next door neighbour, he takes up an invitation to one of the parties and is shocked by Gatsby’s youth and relentless drive. It soon becomes clear there is a method to the apparent madness of hosting parties he seems to be indifferent to. 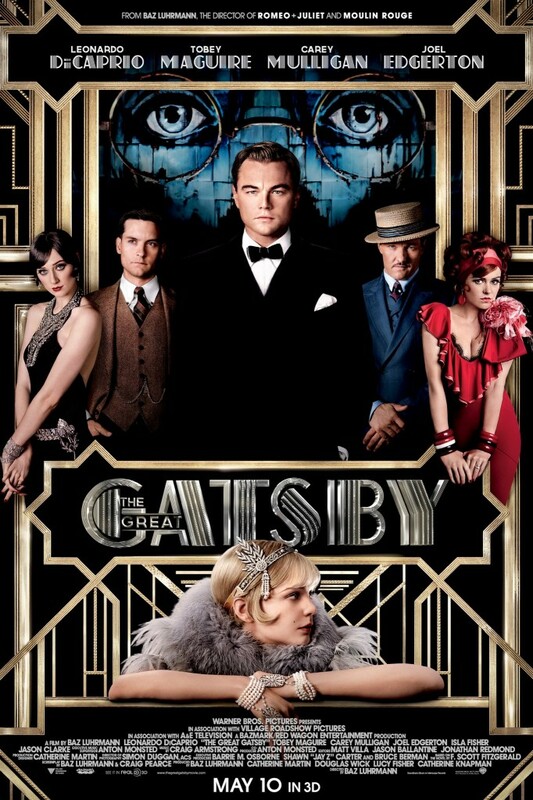 Gatsby has been desperately looking for a way to meet his former love, Daisy Buchanan (Carey Mulligan) and he sees the opportunity he has been waiting for when he realises Carroway is her cousin. Things are complicated by Daisy’s husband, the philandering Tom Buchanan (well captured by Joel Egerton) and troubling rumours of Gatsby’s past that refuse to go away. There are pointless interruptions of the story with short scenes of Carroway with his psychiatrist, but the main failing of the film is addressing the main heart of the story. Carroway’s famously unreliable narrator is just far too removed and asexual to be a convincing character, and the script by Luhrman and Francis Ford Coppola doesn’t explore Daisy’s character enough to explain the obsessive hold she has over Gatsby. The regular motif of having words on the screen fails to resonate, and the gimmick feels more like a music video. Fewer tedious camera zooms would have been nice too. This won’t go down as Di Caprio’s finest. Thought the perfect choice, his portrayal is of someone unsure of how to play it. Mulligan plays Daisy as a far more sympathetic character than the book, meaning the film loses some of the edge and subtlety. Egerton is the stand out. His portrayal of the “old school money” Tom Buchanan is a delight and helps begin to understand the moral complexity at the heart of the twisted love story. When Tom and Gatsby get confrontational in the tea room late on in the film, nothing is held back and we finally see a hint of the genuine drama lurking beneath the decadence. When Daisy and Gatsby first meet, we see that Luhrman can do subtetly, and is undoubtedly the film’s most touching moment. Maybe the book’s magic will always be best left on its pages. Sadly, we’re still waiting for an adaptation commensurate with our capacity to wonder.